Construction update as of 11/14/18: This project is substantially complete. There was a ribbon cutting ceremony on November 14th. 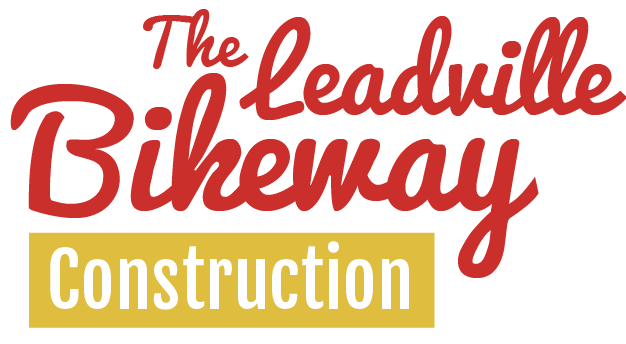 The Ada County Highway District (ACHD) is excited to announce that construction on the Leadville Avenue Bikeway will begin in August. Work is expected to be complete by early November 2018. Reconstructing the intersections at Iowa, Pennsylvania and Highland streets to include bulb-outs. Installing a signalized pedestrian crossing with bicycle push buttons at Boise Avenue, and a RRFB (Rectangular Rapid Flashing Beacon) with bicycle push buttons at Linden Street. Constructing speed humps between Pennsylvania and Boise avenues and new pedestrian ramps. Painted sharrows to remind users that cars and bikes share the street. Temporary closures at Iowa, Pennsylvania and Highland are to be expected. On-street parking may be temporarily impacted when necessary. Crews are expected to work 9 a.m. to 4 p.m., unless otherwise approved. The Ada County Highway District (ACHD) has been working with the community to develop a bikeway design for Leadville Avenue since last summer. Based on the public input we received we have developed a bikeway design that we are excited to share with you. Paint sharrows (shared lane markings) to remind users that cars and bikes share the street. Add special signage and sign toppers to brand the bikeway. Check out the Leadville Design Overview Map to see the improvements and design details. Please note 1) the existing speed humps and crosswalks will remain, however some speed humps may be reconstructed to modern standards. 2) Most on-street parking will be maintained. Bulb outs are an extension of the curb or the sidewalk into the street, usually at an intersection, that narrows the street, inhibits fast turns, and shortens the crossing distance for pedestrians. Construction is anticipated to start August 2018. The Leadville Bikeway project was adopted by the ACHD Commission on January 24, 2018. The Ada County Highway District (ACHD) is launching an effort create a successful, bike friendly alternative to Broadway Avenue on nearby Leadville Avenue. Leadville Avenue runs parallel to Broadway Avenue and serves as a connection from Southeast Boise to Broadway Avenue, Boise State University, the Greenbelt and downtown. Leadville Avenue was first identified as a potential bikeway in the 2009 ACHD Roadways to Bikeway Plan, and again in the 2013 Southeast Boise Neighborhood Walking and Biking Plan. These plans identified Leadville Avenue as a much-needed low-stress alternative for bike traffic on Broadway Avenue. The proposed Leadville Bikeway is intended to serve many users including residents, commuters, students, businesses and recreational cyclists. This bikeway improvement project is part of a larger ACHD effort to facilitate and improve conditions for bicycling in Ada County over the next 50 years. A bikeway is a route, way, or path that is specifically designed and/or designated for bicycle travel. A bikeway does not preclude vehicular travel, but enhances the roadway character and experience for cyclists. Check out the project StoryMap to learn more about the project.